If your bowling ball becomes defective during the Manufacturer's 1 year warranty, you will be responsible for shipping of the ball back to us and shipping of the replacement ball back to you. By adding the Extended Warranty, we will pay shipping both ways, even if it is still within the manufacturer's warranty period. We will add to the manufacturer's warranty up to an additional year! No additional costs of any kind. Customize Your Ball Finish ? This custom option allows you to choose a different Abralon finish on your new ball. This will be done using our ball surface machines and professionally trained staff. 800 Grit Finish: Same as above with a little longer length. 1000 Grit Finish: This is a great surface for a strong roll in the midlane with good backend reaction. 2000 Grit Finish: Will roll longer down the lane than 1000 with more backend reaction. 3000 Grit Finish: Slightly longer than 2000. 4000 Grit Finish: The ball will actually look like it has a light polish on it. This still gives the ball traction in oil with the strongest backend reaction for a matte finish. 1000 Grit then High Gloss Polish: A good base of sanding with polish on top. Will still cut through the oil, but with a stronger backed reaction than 1000 Grit Finish. 2000 Grit then High Gloss Polish: Longer than 1000 with a strong backend reaction. 3000 Grit then High Gloss Polish: Longer then 2000 with a stronger backend reaction. 4000 Grit then High Gloss Polish: This will give the bowling ball the absolute longest reaction and the most skid so the ball conserves the most energy for the backend part of the lane. If your new ball cracks when it's drilled by a pro shop, we will replace your ball free of charge! Manufacturers' warranties do not cover for cracking during drilling and drillers are not held responsible for their mistakes or defects in the ball. This is the distance between the pin (small circle on ball that marks the center of the weight block) and the Center of Gravity (CG). 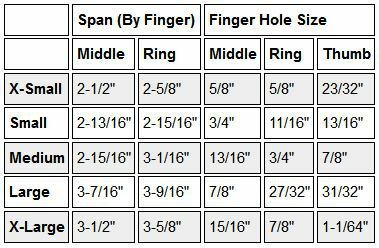 Here are some guidelines to choose your pin distance so your ball driller can lay your ball out based on your desired reaction of the bowling ball. 2-3 Inches: Great selection for just about any layout. The ball driller can achieve many different desired ball reactions with this pin distance. 3-4 pin: Great selection for layouts to get the ball to go longer down the lane. This is also good for bowlers that have long spans. 4-5 pin: This is an extreme pin and is hard to come by. If you choose this distance, your ball shipment may be delayed or refunded due to hard to come by balls with 4-5 inch pins. Top weight is the amount of weight difference from the top of the bowling ball (CG) and the bottom of the ball. No Preference: We will ship what is available and will normally be between 2 to 4 ounces. 2 to 3 Ounces: Is for standard drilling techniques. It is also used for advanced drillings where moving the cg further off center of span creates a stronger drilling. 3 to 4 Ounces: This top weight is good if you want the ball to push more (go farther down the lane) while adding backend motion. Balls are drilled on our Computerized Mill/Drill System. Our Pro Shop Staff has over 35 years of combined experience drilling bowling balls. Our staff also includes a PBA Member & Champion currently on Brunswick's PBA Staff. This pre-sized drilling option (XS thru XL) is recommended for recreational bowlers who prefer to use a conventional grip bowling ball. Drilling will take an extra 1-2 days to ship in most cases. Choose this if you would like a name, nickname, number, etc. engraved on the bowling ball. Maximum of 10 letters/numbers including spaces. IF YOU GO OVER THE 10, YOUR BALL WILL NOT BE ENGRAVED. After you choose to engraving option, simply type in what you would like engraved in the text box below. The color of the engraving will be the same color (or very close) the engraving color of the ball logo. Example: If the ball name is T-Zone and the lettering is yellow, the engraving will also be yellow. If you prefer a different engraving color, simply type the color of the engraving in the item notes section in the SHOPPING CART. Engraved bowling balls CANNOT be returned. Engraving will take an extra 1-2 days to ship in most cases. Engraving- OVER 10 CHARACTERS/SPACES, YOUR BALL WILL NOT BE ENGRAVED. ? Enter what you want engraved on the bowling ball here. Maximum of 10 letters/numbers including spaces. IF YOU GO OVER THE 10, YOUR BALL WILL NOT BE ENGRAVED. IF YOU NEED MORE THAN 10, THE COST IS DOUBLE FOR THE ENGRAVING AND YOU MUST CALL US AT 877-300-2695 OPTION #1 TO PAY FOR THE ADDITIONAL ENGRAVING. The number one factor of ball motion is coverstock. Just one shot with the new Hy-Road Pearl and you will see the difference. The R2S pearl reactive shell floats easily through the front, maintaining ball speed as much as possible, waiting to really cut loose on the backends. Matching the core to the coverstock is equally important, though. That is why the same Inverted Fe2 Technology weight block will be carried over into the new Hy-Road Pearl. Pairing the R2S Pearl reactive coverstock with the dynamic Fe2 weight block ensures that your favorite layouts in your previous Road series balls will be just as effective in the new Hy-Road Pearl. You see, Storm recognizes your needs as a bowler because we, too, are bowlers. And just like you, we want every advantage on the lanes that we can get. Do not forget that the thicker shell of the Hy-Road series makes a difference, too. The amount of energy transferred to the pins at impact is greater, translating to unmatched power at the pocket. 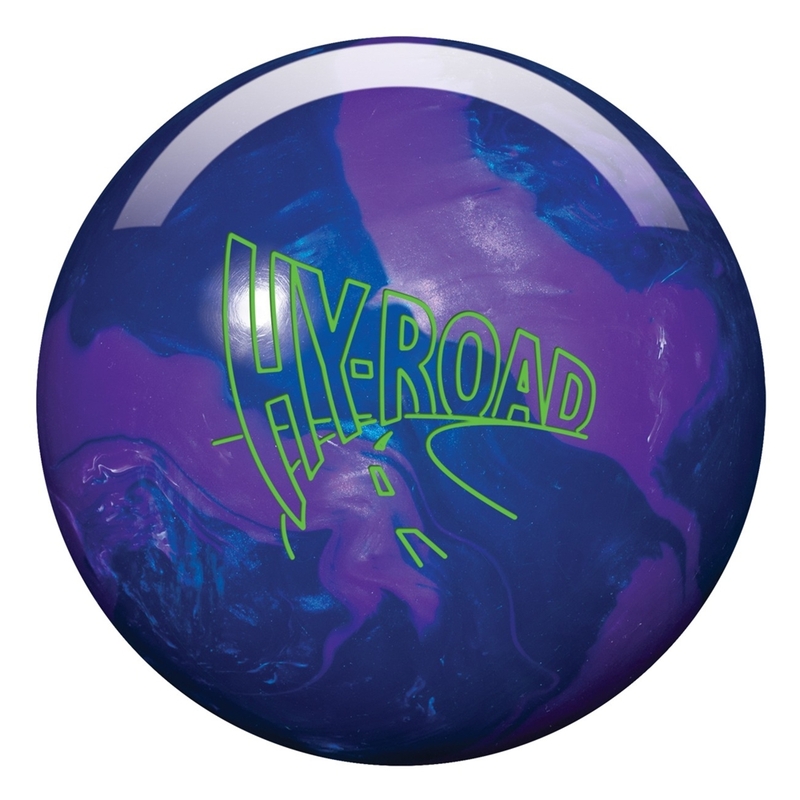 It is part of what makes the Hy-Road one of the most special balls in the history of bowling.